Create delicious snacks and preserve the living enzymes in raw food. 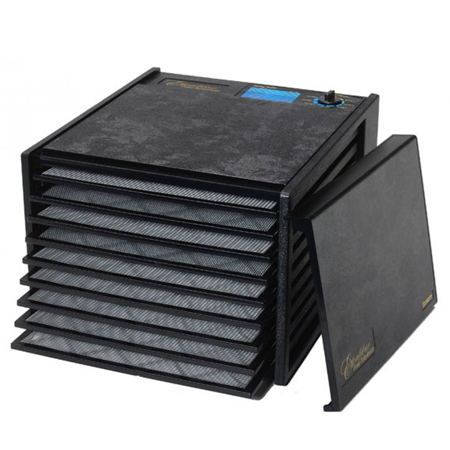 The Excalibur 2900-EC Food Dehydrator is ideal for large families, large gardens or just stretching your food dollars. Also great for crafts people, volume pet treats, in-home dehydrating businesses.